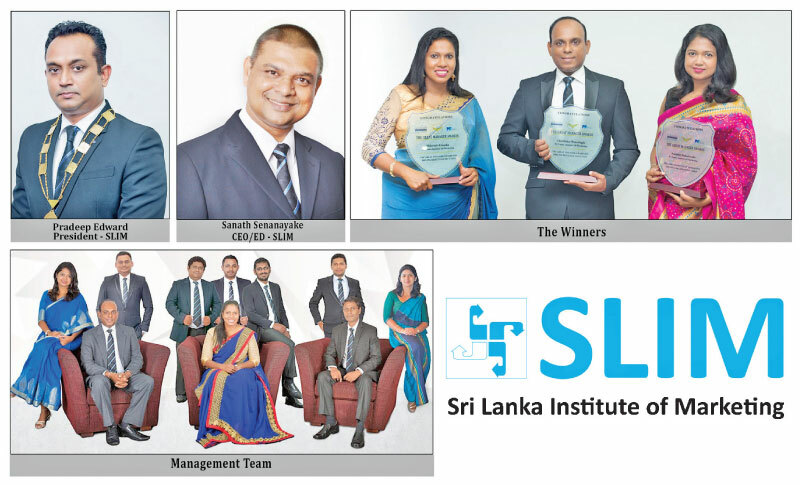 The national body for Marketing in Sri Lanka, SLIM, bags yet another great win by securing an award for a ‘company with Great Managers’ and three managers were awarded as ‘Great Managers’ at the prestigious “The Great Manager Awards 2018” held recently at the Kingsbury. Chinthaka Wanasinghe and Mihirinie Fonseka won the title of Best Manager in the category of Driving Results & Execution, while Nanduni Dahanayake obtained the win in the category of Aligning Organization’s Vision. Hosted by the Colombo Leadership Academy and People Business, “The Great Managers Awards” (GMA) is an initiative taken towards identifying and rewarding organizations with “Great Managers” benchmarking with the industries’ best. The Awards strives to build a culture that nurtures great managers in Sri Lanka. The competition is based on an analysis of five constructs: Driving Results, Aligning Organization Vision, Enhancing People Performance, Building Team Effectiveness and Sustaining Individual Credibility. The first round of the hunt for great managers consists of managers being evaluated by his or her subordinates and peers in the office. The shortlisted managers then had to face a panel of judges at an interview for the second round. In concluding, the winners of the competition were awarded with honours and rewards at an extravagant award ceremony. With innovation being at the forefront, SLIM takes every opportunity to enhance and further the marketing industry in Sri Lanka. SLIM as the leading institute for marketing in Sri Lanka is determined to elevate the status of marketing in the country by recognizing the best from the best and providing knowledge on the latest developments in the marketing industry.